I may have become a little nutty in my attempts to get everyone to watch Master of None on Netflix. Not only is it funny, touching, and relatable in unexpected ways, but a lot of the folks involved are already a part of the things I already know my friends love. 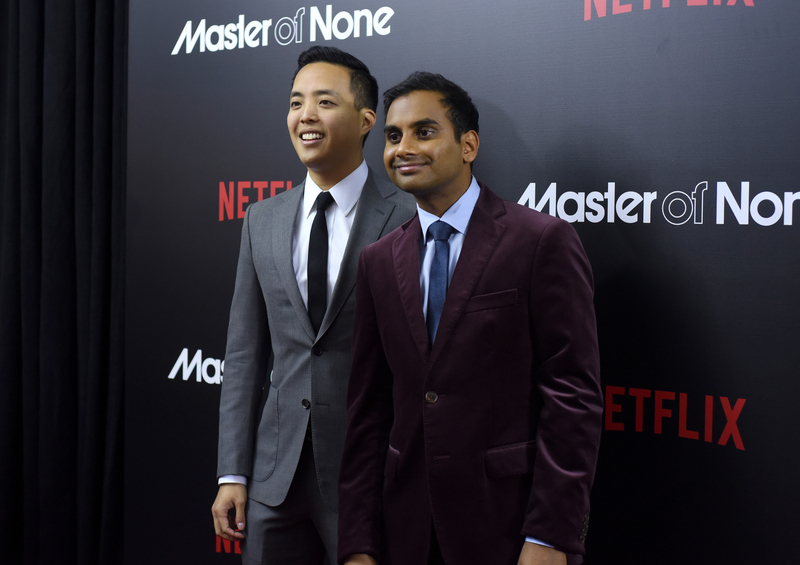 Who is Master of None co-creator Alan Yang? You see his name right alongside Aziz Ansari's in the credits, so who is this dude? While Ansari is more established as an actor, stand-up comedian, and author, his cohort is equally awesome and you probably know him a lot better than you think. You just don't see his face, because he isn't one of the stars. Alan Yang is a writer, director and producer who studied biology at Harvard and, according to an interview with Variety in 2009, considered taking the LSATs if screenwriting didn't work out soon. Thankfully it did, or we wouldn't have the same show. He met Aziz Ansari around that time, they became friends as well as co-workers and "disciples of Mike Schur." This project, Master of None, is a good balance of their skills and experiences. Here are some other things to know about Alan Yang and how you may already be familiar with his work. Alan Yang was a writer on the NBC sitcom from Season 1 to the very end. Above is a scene from one of my favorite episodes that Yang penned, "Soulmates." He also directed two episodes. No, seriously. Like many Parks writers, Yang appeared on the show. He was the bass player in Andy and Burly's band. Alan Yang has written for Last Call With Carson Daly, contributed to the 2007 MTV Awards and one episode of South Park, and appeared on Kroll Show. You can find the list in Aziz Ansari and Alan Yang's reddit AMA, though he was not asked to provide said list of every place he ate. So, if you want to go on a Master of None food tour in New York City, now you can! The comedy is about two best friends, one gay and one straight, navigating High School together. It also stars Nick Offerman and Dakota Johnson. Vulture, in fact, plainly describes Kelvin Yu's character as "the onscreen version of co-creator Alan Yang." Especially, in that he once had a girlfriend whose mom hugged him more times in one dinner than his own family ever had, as Anzari also revealed in the AMA. According to an NPR interview, Yang's father also had to kill his pet chicken while growing up in Taiwan. Of course, as a writer, his experiences have probably bled into other characters — Alan Yang is the unseen (though not unhead) star of Master of None, for sure.